There are many people who will call East Kaua'i the Coconut Coast, and once you visit you'll see why. For miles along the shoreline there are hundreds of coconut trees. East Kaua'i will also be where rain chances increase as the trade winds blow in from the Pacific. The average rainfall varies along the coastline, but you can expect to see a little more than on the south and west sides - between 45 and 60 inches a year. Head mauka (inland) towards Wai'ale'ale or Kawaikini, though, rain increases by the foot, literally. The average temperature is much cooler in this region than the south or west at around 70F. The east coast is probably the second most popular part of the island, and most of the resorts are along this stretch, especially in Kapa'a. Plus, there are plenty of attractions gracing the region, from Wailua and Opaeka'a Falls to the Fern Grotto, all near the Wailua River. In East Kauai, you'll pass through the popular resort area of Kapa'a. It is a small oceanfront town that's getting ever so close to the North Shore. It is also right on the edge of Wailua River State Park and Lydgate Beach Park. 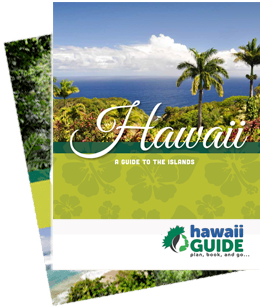 Other towns you'll find on the east coast include Wailua, Hanamaulu, and Anahola.